This month we're asking our autistic community members What Do You Want? What Do You Need? We're featuring their answers all April long, right here. Today we're having a conversation with Autistic scholar, educator, and aikido teacher Nick Walker. Please read, listen, and share. 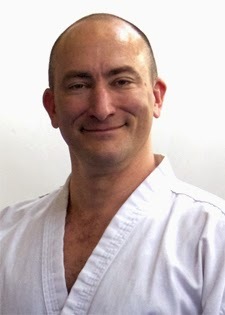 Generally, the first thing I like people to know about me is that my wife and I run a lovely aikido dojo called Aikido Shusekai, in Berkeley, California, with a very sweet and friendly bunch of students. 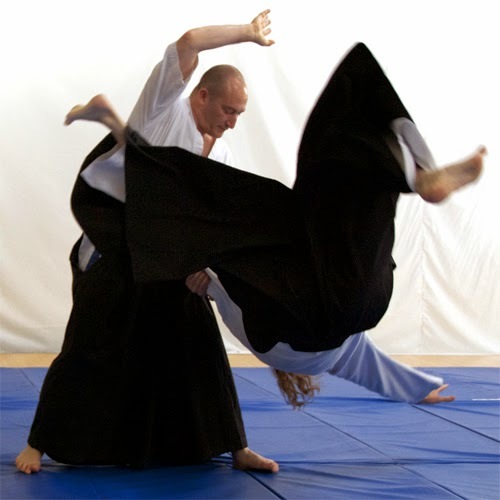 I like people to know this about me because my wife has pointed out to me that the more people know about the dojo, the more likely it is that potential aikido students will hear about us and come train with us. This makes sense to me. My wife is wise. Also beautiful. I like people to know I have a blog called Neurocosmopolitanism. I don't have time to write blog posts very often, but when I do, I want people to read them, so I like people to know the blog exists. I like people to know I'm Autistic. I like people to know this because the mainstream discourse on autism focuses almost exclusively on Autistic children, and tends to erase Autistic adults. On the rare occasion that you hear about a real live Autistic adult on television, 99 percent of the time it's Temple Grandin. If visitors from another planet tried to learn about autism by watching a random selection of daytime talk shows and TV news programs, they could easily end up with the impression that the entire Autistic population somehow consists entirely of millions of children and one woman in her sixties. The invisibility of real live Autistic adults in the mainstream discourse is of course harmful to us Autistic adults. It's also harmful to Autistic children and their parents and other caregivers, because it creates a scarcity of role models, a scarcity of examples of possibility. Young Autistics, just like all young people, need role models to inspire them to recognize and pursue their own potentials. And non-Autistic parents with Autistic children can also benefit from learning the stories of Autistic adults. This is especially important because certain unscrupulous organizations and individuals, motivated by prejudice and profit, have created a societal narrative of fear around autism. It's almost impossible for non-Autistic parents of Autistic children to resist the fear if they have no positive models of what Autistic adulthood can look like. So making myself visible as a thriving, happy, flamingly Autistic adult is an act of resistance to being erased, and it's also of potential benefit to younger generations of Autistics. My visibility as an Autistic also helps to widen people's awareness of the range of Autistic diversity and Autistic potential, because I violate so many of the popular stereotypes about Autistics. I've encountered a few books about autism that list good potential occupations for Autistics, and they never list anything like the stuff I do. The teachers and counselors and so-called "experts" do their best to steer us away from occupations that require qualities like empathy, warm human contact, compassionate leadership, joyful physicality, engagement with the realms of myth and metaphor, or openness and sensitivity to the profound ambiguities of the human psyche and the human spiritual condition. And then our lack of involvement in such occupations is pointed to as proof that we lack those qualities. So I like people to know that my entire life revolves around activities that require such qualities, and that my career success is due to the fact that those qualities were always part of my neurological potential, and the fact that I chose to explore that potential despite being told that I lacked it. If I had to boil it down, the thing that gives me the most pleasure is process of emergence -- the process of transformation by which something complex, original, and wondrous emerges from a bubbling chaos of potential. You can see emergence at work when a flock of birds who've been randomly pecking about on the ground spontaneously organize themselves into a perfect flight pattern as they take wing. Starlings, in particular, do this magnificent thing called a murmuration, where thousands upon thousands of them make these shifting three-dimensional shapes in the air. I love watching waves emerge from the ocean, or following the emergence of an intricate story from the confluence of multiple characters and plot threads. I take especial delight in this process of emergence as it occurs in people. I have spent my life fascinated by processes of personal evolution and transformation - by the ways in which individuals blossom, the magical moments in which a person's hidden potentials for beauty, brilliance, courage, wonder, grace, and goodness become manifest. This joyful fascination has been the central driving force in my life; my entire career, in aikido and in academia, has emerged from it and exists in service to it. As to the question of Why ... who knows? The heart wants what it wants. I have a personal fondness for quasi-Buddhist explanations involving the idea that each soul incarnates with a mission to learn a particular set of lessons. But that's fanciful speculation on my part, and I don't pretend to any certainty. Police. Urban police forces seem less and less like public servants and peacekeepers these days, and more and more like the brutal footsoldiers of an occupying military force. It's generally a good idea to avoid militarized gangs that feel they have a mandate to control the behavior of others through violence, and that are virtually immune from prosecution. And being Autistic is a bit like being Black, in that it significantly increases one's chances of being murdered by police, as well as the chances that the police will get away with it. Enough open floor space to move around, pace, stretch, and play. Lots of natural light. A reasonable amount of privacy. Clean running water. A shower. Space for my desk, computer, and books. A location in a pedestrian-friendly area where I can easily walk to good food sources, pleasant outdoor spaces, and public transit. People I love. A good community around me. Why? That's just the sort of environment in which I've found that I'm happiest and most productive. There are so many books and movies I love that I can never manage to list all of my favorites. I love a good, well-told story. Generally speaking, I love stories in which that quality of emergence shows up in particularly artful and engaging ways. Good stories of transformation, awakening, redemption. Dr. Seuss's I Had Trouble in Getting to Solla Sallew was an early favorite that played a big role in shaping my outlook on life. I also like artful intricacy and complexity in a story -- as I mentioned earlier, one manifestation of emergence that I enjoy is the emergence of a complex story from the confluence of multiple characters and plot threads. Or, more subtly and even more pleasingly, the emergence of coherent, resonant themes. Italo Calvino's Invisible Cities is a favorite book of mine which is constructed around this latter sort of emergence. As you might imagine, I especially enjoy stories in which emergent transformation and redemption in one or more characters, and the emergence of complex plots and/or themes, are combined. The novels of Michael Chabon are good examples of this, or, in the realm of graphic novels, Alan Moore's Watchmen and Neil Gaiman's Sandman. And Holes, by Louis Sachar, is a shining example from the genre of children's literature. In film, I love these same qualities, combined with rich, vivid, dreamlike visual aesthetics and artful use of color and visual themes. A few of my favorites that come to mind at the moment are Repo Man, Miller's Crossing, O Brother Where Art Thou, The Imaginarium of Doctor Parnassus, and my friend Antero Alli's indie cult film To Dream of Falling Upward (in which I appear in a minor role as an inept henchman). I also enjoyed the heck out of Joss Whedon's Avengers film. And Frozen, which I recently saw with my daughter. When I was a little kid, my favorite film was Yellow Submarine. These days, I tend to enjoy good TV shows more than films, because the series format allows for more long-term development of plot and themes, and more evolution of the characters. Game of Thrones, Agents of S.H.I.E.L.D., and Community are the shows I'm most into at the moment. I'm completely uninterested in shows in which the characters don't evolve in any significant way. Like I said, I love stories of transformation and redemption. Joss Whedon's work often appeals to me for that reason. I enjoyed Buffy the Vampire Slayer even though I found Buffy herself to be an unappealing character; it was Spike's character arc, the long journey from monster to hero, that kept me interested. I'm hardly the first Autistic person to remark on this, but often the best Autistic characters are the ones who weren't specifically intended by their creators to be Autistic, or at least whom their creators never explicitly state to be Autistic. Most non-Autistic authors, when they set out to create a specifically Autistic character, end up just stitching together some Frankenstenian patchwork of stereotypes, rather than a coherent, nuanced, realistically complex human to whom an actual Autistic could relate. So I suppose that the one Autistic experience I'd most like to see more of in storytelling is the experience of being an actual human, a continually evolving person with a subjective viewpoint and inner experience as rich, real, and valid as anyone else's. Most Autistic characters in popular culture are still constructed around the insulting false dichotomy of "high-functioning" versus "low-functioning" stereotypes. An Autistic character is likely to either be the "aspie" stereotype: the comically quirky, emotionally-detached super-genius who speaks in a highly articulate fashion at all times, and is able-bodied and more or less independent; or else the "low-functioning autism" stereotype: lacking any comprehension of the world around them, largely unable to communicate or to connect meaningfully with others, in need of constant care and supervision, and constantly exhibiting behaviors that neurotypical society understands to be "tragic," like rocking, flapping, twitching, twisting, grunting, keening, shrieking, head-banging, and self-injury. But real Autistic human beings don't fit neatly into these made-up stereotypical categories. I know non-speaking Autistics who need help with everyday tasks and who exhibit most of the outward traits associated with the "low-functioning" stereotype, who are brilliant writers and poets, powerful activists, and good friends. I know accomplished scholars and professors with successful academic careers and multiple publications to their names, who rock, flap, twist, twitch, grunt, and head-bang. So I'd like to see popular culture move beyond the stereotyped false dichotomies, to portray the full range and complexity of Autistic experience. I'd love it if the next ultra-observant Autistic super-detective featured in a TV series was a warm-hearted, visibly-disabled, non-speaking poet like Amy Sequenzia, instead of yet another emotionally-detached, coldly logical, able-bodied "aspie" stereotype. Another thing I'd like to see is more diversity among Autistic characters. The Autistic characters in American film and TV are almost all white, and mostly on the young side. Remember the TV show Alphas, about a team of crimefighters with minor superpowers? I thought that show's portrayal of the teenage Autistic team member was pretty good, for the most part. But it annoyed me that he was a white male, because I suspected there was no good reason for that choice except that it was the default cultural stereotype. No good reason the Autistic teenage character couldn't have been Black and female - and it would have been far more interesting, because of the violation of stereotypes, and because the geeky teenage Autistic white boy trope is already so familiar, and we haven't seen nearly enough representation of non-white Autistic experience. I'd like to see a complete shift to the language of the neurodiversity paradigm. Neurodiversity, for those readers who are unclear on the meaning of the term, simply means the diversity of human brains and minds. The neurodiversity paradigm is a perspective that recognizes neurodiversity as a natural and valuable form of human diversity which should be considered as similar in many ways to other forms of human diversity, such as racial diversity, sexual and gender diversity, and cultural diversity. So what a shift to the language of the neurodiversity paradigm means, primarily, is that whenever one talks about Autistic people, or about members of any of the other neurocognitive groups that make up our neurodiverse species (e.g., neurotypical people, dyslexic people, bipolar people), one should use the same sort of language, the same sort of grammatical constructions, that a decent, cosmopolitan, non-bigoted person would use to talk about members of an ethnic group, gender, or the like. In other words, if it's not acceptable among decent, non-bigoted people to talk about Black people, white people, Jewish people, Albanians, women, men, gays, lesbians, or heterosexuals in a certain way, then don't talk about Autistic people that way, either. For instance, it's not considered acceptable, except among the most ignorant and repugnant of bigots, to refer to a person's ethnicity or sexual orientation as a disease, disorder, illness, or "condition." So it's time to stop using those terms to refer to autism, too. The term "ASD" -- which stands for "Autism Spectrum Disorder" -- should never be used, or regarded as acceptable, by any decent person. Inevitably, some people are going to respond to all this by saying, "But I've seen some Autistic people use these terms!" Well, so what? Yeah, internalized oppression happens. It plagues Autistics like it plagues any other oppressed minority group. The fact that some people have internalized the bigoted language that's used to oppress them, doesn't make it right or acceptable to use that language. Just the opposite, in fact. When we see young members of ethnic minority groups using ethnic slurs to describe themselves and one another, that's not an indication that these slurs should now be considered acceptable for everyone to use - it's an indication that we should work even harder to eradicate such degrading language, so that future generations won't internalize it the way so many members of past and present generations have. I'd also like to see people stop calling autism a "difference." That's one of those insidious ways of speaking that sounds like it isn't prejudicial, but actually is. A difference from what? To call autism and other minority neurocognitive styles "differences" is to imply that neurotypical is the default standard against which it's natural to measure everyone else. And I'd like to see the eradication of the use of functioning labels -- "high-functioning" and "low-functioning" -- to describe Autistics or any other human beings. What exactly to we mean by "functioning"? In practice, when people say "high-functioning" and "low-functioning," they generally seem to be using the term "functioning" to mean "conforming to dominant neurotypical social and cultural norms, standards, and demands." But do we really want to buy into the assumption that such conformity is the proper "function" of a human being? I propose that instead of rating human beings as "high-functioning" or "low-functioning," we apply the terms "high-functioning" and "low-functioning" to societies, rating the functioning of a society according to the degree to which it succeeds in supporting and furthering the well-being of all of its members; and the degree to which it can accommodate and integrate diversity, and employ diversity as a creative resource, without attempting to reduce or eliminate it, and without establishing hierarchies of privilege. A large-scale societal paradigm shift, from the currently dominant pathology paradigm to the neurodiversity paradigm, would be a good start.